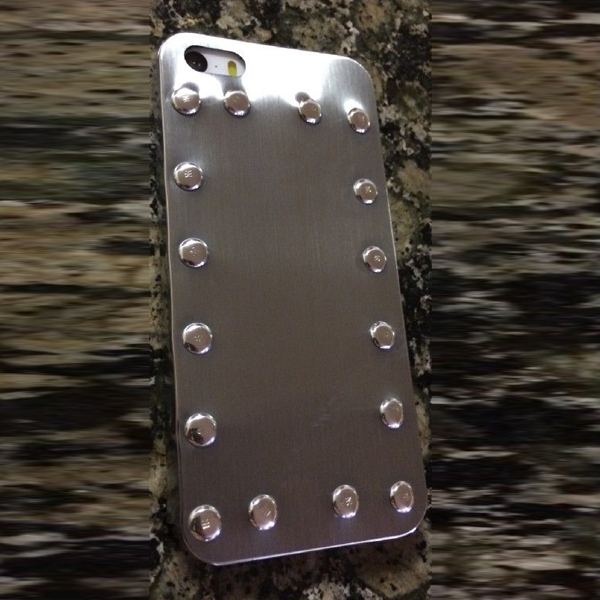 Here I have taken a regular iPhone 5 or iPhone 5S case and added 16 solid aluminum rivets and polished to the same level as found on World War II Bombers and Fighter Aircraft. I can adjust the rivet pattern to your liking, these are riveted in my shop, so it’s one of a kind and custom. The rivet pattern is not precise, nor is the surface flat anymore, to match the way Flying Fortress Bombers left the factory in WWII. Brings back that era, as accurately as possible. FREE Shipping via US Postal Priority Mail.